We constructed a new 2.6-kilometre-long section of sewer pipe and 24 new sewer manholes within road reserves in the Somerton area, ensuring the reliability of our sewerage system, as well as catering for growth in Melbourne’s northern suburbs, and reducing the likelihood of sewage spilling into the environment during heavy rain events. 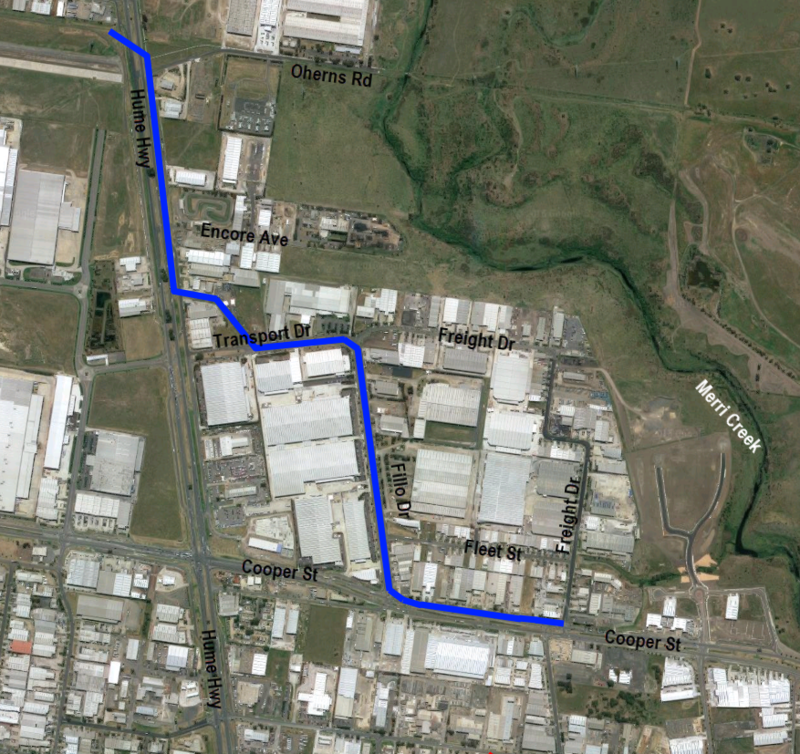 Between May 2017 and August 2018 our contractor, MFJ Constructions, constructed a new sewer pipe between Oherns Road / Hume Highway to the north, and Cooper Street / Freight Drive to the south. The works started at the southern end, and finished in the north. The blue line shows where the new sewer pipe has been built. If you have any questions or feedback about this project, please call the project manager, Paul Wines, directly on 9872 1546.